John Carruthers Dip.Surv (Otago) M.N.Z.I.S. 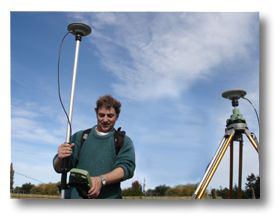 A licensed cadastral surveyor since 1975, John joined the firm in 1980 after working throughout the country. 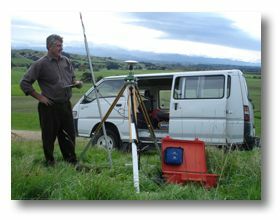 Born and raised in the Wairarapa, John has extensive local knowledge and experience with land transfer surveying. He has worked on most of the residential, rural, commercial and industrial subdivisions in the region over the past twenty five years. John's interests include rugby and tramping. Eric Dodd B.Surv. (Otago) M.N.Z.I.S. A registered surveyor since 1994, Eric brought to the firm in 1999 experience in civil engineering, construction and surveying. Born in Edinburgh, Eric moved to New Zealand in 1981 and has worked on a variety of projects throughout the United Kingdom and New Zealand. Eric's interests include tramping, cross country running, astronomy and his Martinborough winery. Hayden joined the firm in 2001 and has since been an integral part of our team as a technician. 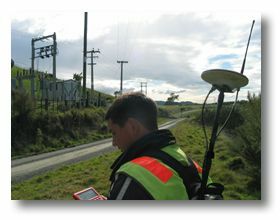 Commonly seen in the region with his GPS unit and bright reflective gear, Hayden's can-do approach to fieldwork and his problem solving ability is an important part to achieving client's aspirations. Hayden is a high performance sportsman and has achieved at the highest levels in many sports. Anneline Jerling Nat. Dip. Surv (South Africa) A.N.Z.I.S. 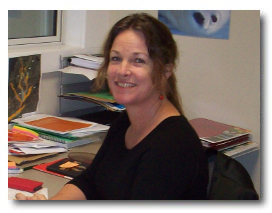 When Annie joined the firm in 2003 she brought with her over ten years of experience in survey technology in New Zealand and South Africa. She specializes in computer aided design and performs most of the offsite cadastral functions for the surveyors in our team. 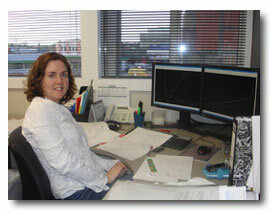 Married to an architectural technologist, Mark, and a mother of two, Annie is a keen long distance runner. Specializing in resource management planning, Elizabeth joined the firm in 2009 with over 15 years in the local industry in various resource management roles including being a resource management commissioner. Her wide variety of work provides opportunities to represent clients throughout the planning and implementation phases of developments.